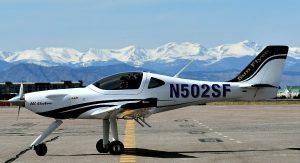 DENVER, Colorado – March 27, 2018 – Electric Power Systems (EPS) announced its official collaboration with Bye Aerospace, a company that applies innovative Energy Storage System technology to the Bye Aerospace All Electric Trainer dubbed Sun Flyer. “We’re excited to work with Bye Aerospace on making the Sun Flyer the first All Electric Airplane certified under the new FAA Part 23 regulations,” EPS Chief Executive Officer Nathan Millecam said. 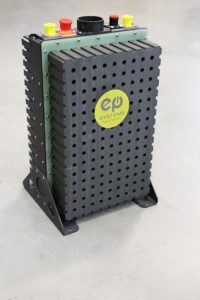 Bye Aerospace has contracted EPS to Design & Build the Energy Storage System including Battery Modules, Battery Management Unit, and Power Distribution unit for its Flight Demonstrator scheduled for first flight tests in the Q1-Q2 timeframe in 2018. Bye Aerospace is an innovator of sophisticated aerospace technology focused on applying advances in energy and design efficiencies to aerospace applications. The company was founded in 2007 by George Bye and is headquartered near Denver, Colorado. For more information, go to www.GeorgeBye.com.